A very thin rumor on Wednesday claims Apple will start shipping the AirPower wireless charging mat and AirPods wireless charging case in late March, both hotly anticipated items unveiled during the company's iPhone event in September. Citing an unnamed "tipster" from Best Buy, The Apple Post reports the big box retailer and Apple Authorized Reseller will begin sales of AirPower and the wireless AirPods charging case — packaged with AirPods — next month. According to the source, Best Buy is set to initiate online and in-store sales on the same day as Apple, a strategy in line with past accessory launches including Apple Pencil. The Apple Post does not have a reliable track record in predicting Apple product launches, so the following information should be taken with a heft grain of salt. If the tipster is correct, it seems Apple intends to sell standalone wireless AirPods charging cases exclusively through its own retail stores, leaving third-party resellers like Best Buy to sell the item as a package with new AirPods. At its unveiling, and in subsequent promotional content, Apple describes the wireless AirPods case as "optional," suggesting other retailers will stock two AirPods SKUs, one with a traditional Lightning connection and another featuring inductive elements. An exact release date was not provided, but the tipster said Best Buy would receive sales stock and demo units in late March. 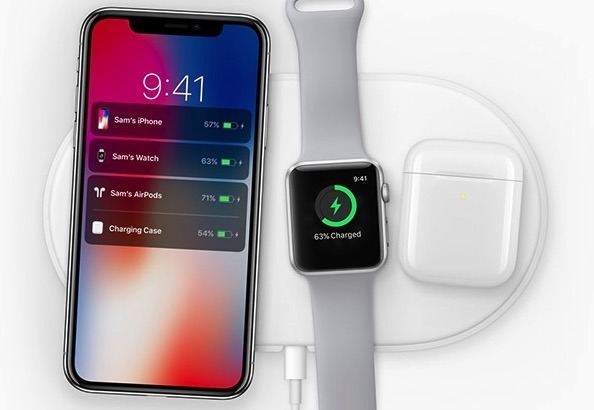 Announced at Apple's iPhone event in September, AirPower is an inductive charging pad capable of juicing up multiple devices simultaneously. For example, AirPower boasts sufficient throughput to charge an iPhone, Apple Watch and the wireless-compatible AirPods case at the same time. Specifications for the charging mat and new AirPods case are unknown, as is pricing. Rumors last year pegged the charging pad at $199, while a separate report claimed Apple will charge $69 for a wireless AirPods case replacement. Apple has remained mum on an official launch timeline. Beyond confirming a 2018 release, the company has not commented on pricing or specifications for either AirPower or the optional AirPods case.